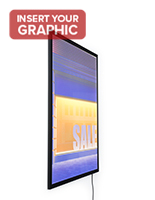 An illuminated poster frame is an effective sales tool for promoting a business, service or its products, by simply adding light to a display. 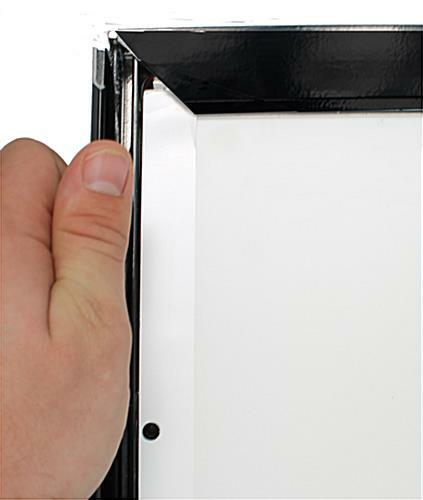 This light box features snap-open molding to easily slide in your advertising graphics. 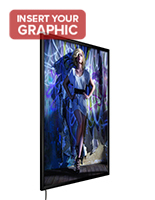 The illuminated poster frame with edge lights, also known as LED lightboxes, utilizes LED bulbs to disperse light across a displayed poster. 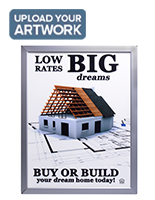 We recommend using translucent graphics to better showcase your signage. 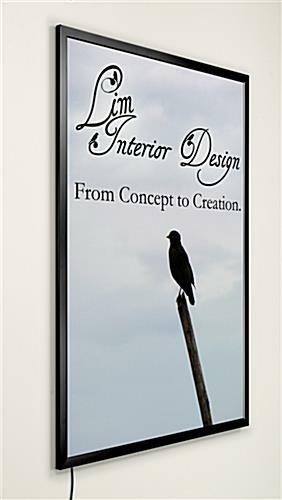 An illuminated poster frame with low voltage is meant for displaying a 24" x 36" graphic either in portrait or landscape form. All of the necessary equipment for altering orientation is included. 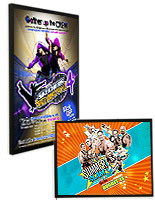 We've provided the illuminated poster frame with mounting brackets and hardware to accommodate either setting. 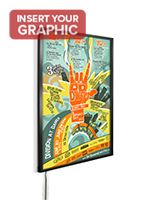 This illuminated poster frame that includes brackets is perfect for use in commercial environments to highlight an advertisement or promotional display. 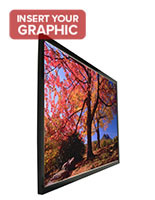 They are ideal in retail stores and public transportation areas. 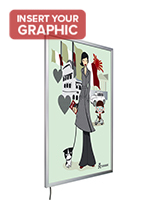 The slim light box, illuminated poster frame that clips ads into place even includes rounded edges to prevent those walking by from becoming scratched or injured. Furthermore the holder is very thin. 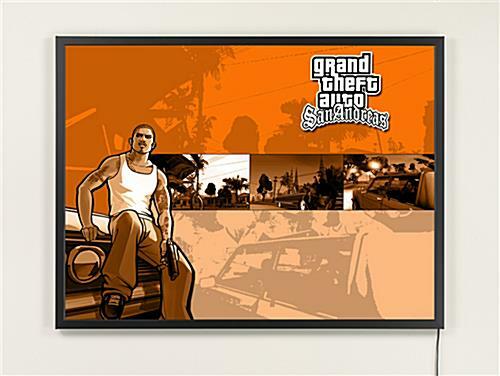 This illuminated poster frame that has a slim profile is only .83" deep, therefore making it sit flush against a wall when installed properly. Not only will this look better but it will also prevent the light box from protruding in the way of passersby. Never any problems. We use these in bank branches and they never disappoint. This looks AWESOME, David! Thanks so much for sharing and for the great review!